how many of these users are doing desired actions like sharing their phone number etc. 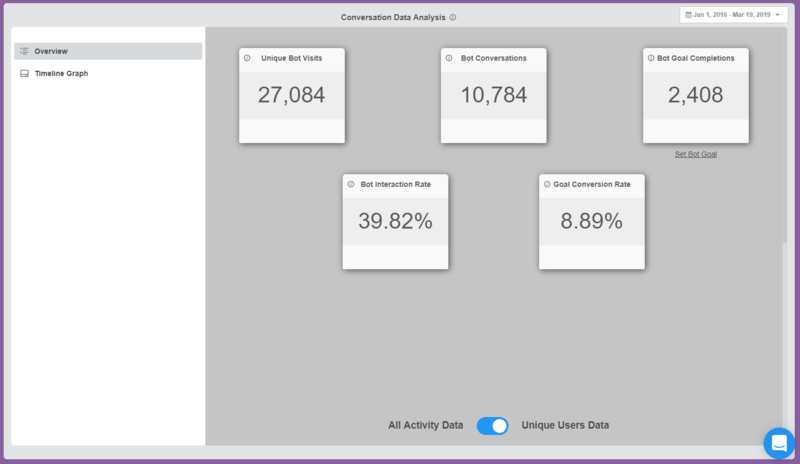 To help you with all of this, we have released a new feature which will enable you get an overview of the Interactions and Conversions happening in your Bots. It's called Data Analyze section. Bot Conversations : Total number of unique users who interacted with the bot and started the conversation (Full + Partial). If a user has interacted with the bot twice, it will be counted as one. Bot Goal Completions : Number of Bot Conversations where the Bot Goal is achieved. Set the Goal Gambits in Configure >> Goal Settings to see the stats here. The idea behind this feature is to give you an overview and a sense of what is happening with your Bot interactions. This will also help you understand the value that the Bot is bringing to your business. This is useful for in testing as you can observe how changes made to your chatbot affect your conversion rate. Note: The counts in the Analyze section does NOT include Test Submissions made by the Bot maker. 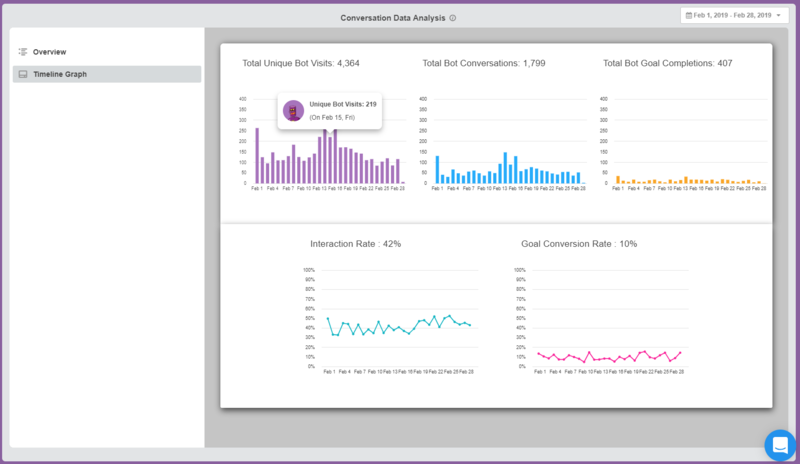 This means that counts of Bot Conversations will be different from the counts you see in Data View and Data Export. Check it out, and as always feel free to ping us for any feedback, suggestions or requests.